DOES YOUR BEECH MOUNTAIN HOME MAKE YOU MONEY? If the answer is no, call us today! You may have thought about renting your home for a variety of reasons. Maybe you have not used it as much as you planned and do not want it to sit empty. Maybe you just need to offset the costs of owning it. Either way, we can help you. 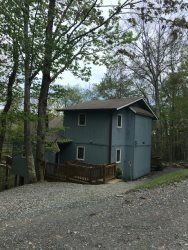 It can be a daunting task trying to pick a reputable management company with an extensive knowledge on how to rent vacation homes located on Beech Mountain. We are available at any time via, phone, email, Facebook Messenger or by chatting on our website. We are here to answer your questions and help you fill at ease. We have assisted families from all over the country, even from across the seas, for more than 30 years have a spectacular vacation here on Beech Mountain. We currently have more people to rent to than we have homes for them to stay in. WHY CHOOSE A LOCAL PROPERTY MANAGER? Owning a vacation rental property is a big investment, one that can bring you income indefinitely when maintained and managed properly. Vacation rentals are affordable, provide more privacy and allow guests to immerse themselves in the local experience. On Beech Mountain, vacation rentals are far and away the most prevalent form of accommodation. Beech Mountain Realty and Rentals is located right in the heart of Beech Mountain and are on the mountain during adverse weather, storms or other situations that can cause stress to guests. We are here to answer all of their questions and concerns and put them at ease. We provide each owner with a monthly activity report. All information necessary for IRS purposes included. At the end of each year, owners receive an annual accounting for tax purposes. Dedicated advertisement for your home through our website, Facebook, Chamber of Commerce, Ski Beech and Beech Mountain Club marketing, as well as Appalachian State University and Lees-McRae College websites. Every caller gets personal attention and an honest effort to arrange the accommodation best suited to his or her needs. Reservations made by phone or online and are confirmed by email within 24 hours or snail mail if requested. We maintain regular office hours and an after-hours emergency number. Whenever reasonable, we personally meet the guest on arrival, but what ever the hour, someone from the office is on call should a renter need help. We realize our obligation to our guest and homeowner. Every unit is inspected frequently for security, leaks, problems of any nature. Our purpose is to avoid big problems by catching and correcting them when they are small. We, of course, check units between renters to catch minor damages, which are charged to the offending renter’s damage deposit. We personally inspect each unit before guest arrival and again immediately after departure. Every renter can expect to arrive to a clean, fully made up unit. We have a private linens service, which is also available to owners to their guests for a nominal fee. There may be times when packing linens is not practical or desirable. Renters do NOT pay an additional cleaning charge provided the unit is left reasonably neat. Owners are given the option of cleaning a unit after use or calling for our housekeeping department to take care of it for a nominal fee. Routine maintenance of small items is cared for by our staff; i.e. change light bulbs, tighten lose doorknob, cabinet knobs, repair lose towel bar, curtain rod and the list goes on. Any emergency situation will be handled immediately to avoid extensive damage and protect insurance coverage. Minor maintenance will be taken care of up to $100.00. Above that amount, the owner will be called to obtain approval. We have reliable contacts for roofing, HVAC, plumbing, electrical, lawn care, snow removal and other household maintenance needs. We will do our best to handle any reasonable request by an owner. If we cannot do it ourselves, we will certainly try to find the right person to handle it. We have an appliance repairman, electrician and plumber on call. We also register your home for occupancy tax and payments in accordance with town specifications. We maintain competitive rate, seasonal re-evaluations and are developing some special rate structures to encourage rentals during slow periods. If an owner refers a client, we reduce our rate by 10% and the owner receives 70% of the revenue. The standard split is owner 60% and agency 40%.